Harlan Coben's last three consecutive novels Caught, Long Lost, and Hold Tight all debuted at #1 on the New York Times bestseller list and lists around the world. He is a winner of the Edgar Award, the Shamus Award, and the Anthony Award. "Ranging from homespun to lush and tropical, this year’s crop of 20 stories offers a variety of tastes and textures. But exotic doesn’t always mean compelling. Charles McCarry’s "The End of the String," set in Africa, lumbers like an elephant toward a conclusion as momentous as a mouse. "Diamond Alley," Dennis McFadden’s quiet tale of small-town teens confronting the murder of a popular classmate, packs a far greater punch. Family stories are equally powerful. In Christopher Merkner’s chilling "Last Cottage," a young couple tries to outlast a neighbor determined to oust them from their waterfront home. Across cultures, mothers protect. In Richard Lange’s "Baby Killer," Blanca struggles with an acting-out granddaughter. And although embarrassed by her profession, a Chinese mother helps her detective daughter in S.J. Rozan’s "Chin Yong-Yun Takes a Case." An absentee father’s return challenges a wife who’s moved on in Joe R. Lansdale’s "The Stars Are Falling." But Chris F. Holm shows in "The Hitter" that sometimes the greatest threat is to the dads themselves. Families don’t always grow through birth or marriage, as Beth Ann Fennelly and Tom Franklin reveal in "What His Hands Had Been Waiting For." And of course, some families are just plain toxic, as Lawrence Block’s "Clean Slate" and Loren D. Estleman’s "Sometimes a Hyena" aptly demonstrate. But nasty behavior isn’t just a family affair. Eric Barnes shows teenagers wreaking havoc for no particular reason in his slow-moving "Something Pretty, Something Beautiful." And in "A Long Time Dead," Mickey Spillane and Max Allan Collins show that evil can turn up where it’s least expected. 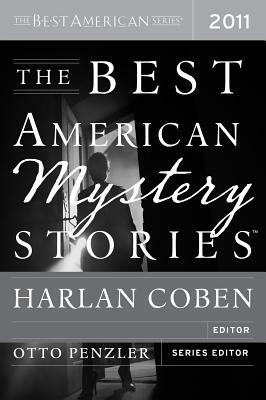 It has its highs and lows, but the best of Coben’s Best is really first-rate."